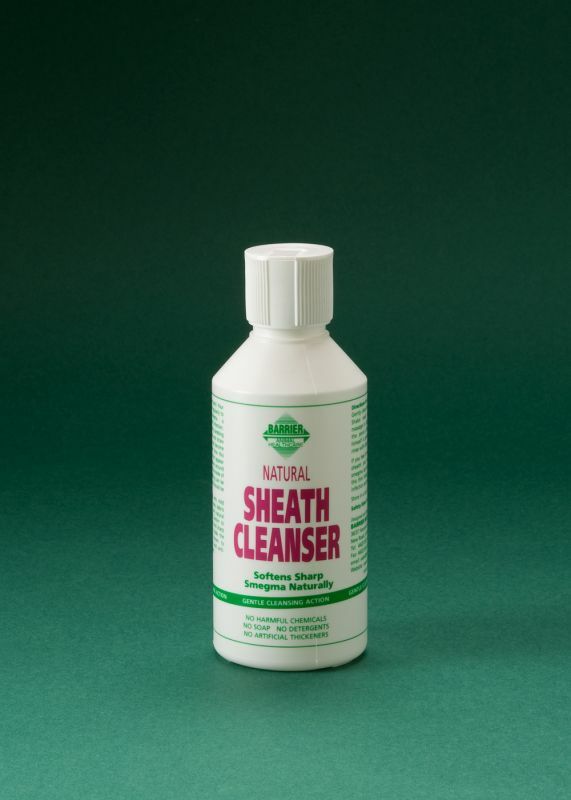 Sheath Cleanser naturally softens and loosen hard and sharp smegma. Uses: Sheath Cleanser gently softens and loosens hard smegma naturally and safely. Cleanliness: Your gelding's sheath should be cleaned regularly to prevent a build up of smegma - a breeding ground for bacteria. Infection and swelling can be caused by lack of cleanliness and should be checked out by your vet. Smegma: This is the build up of grime, secretions and dirt appearing as a black tar like smelly substance around your gelding's sheath and sometimes down the inside of the hind legs. Safety: Sheath Cleanser is entirely non-toxic and non-irritant - but extreme care must be taken inside the sheath as the smegma can be razor sharp and easily graze this thin membrane and allow infection to set in.